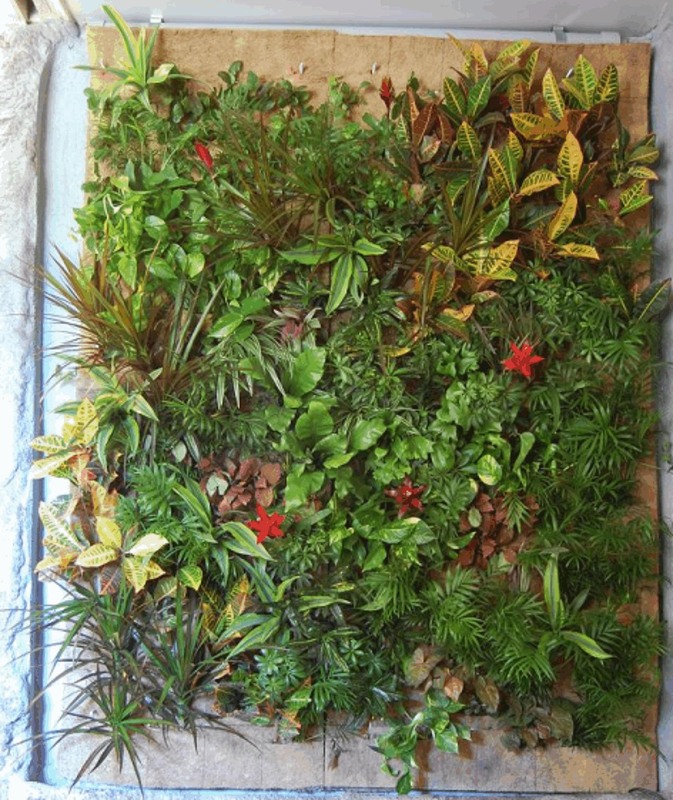 Imagine a wall made with living breathing growing plant materials that not only clean the air but oxygenate it as well. That’s exactly what has been built at Solaqua. The green wall was the collaboration of Jody Rael, President of Solaqua, working with two interns, both fifth year architectural students at RPI, Elizabeth Saunier and John Desposito. 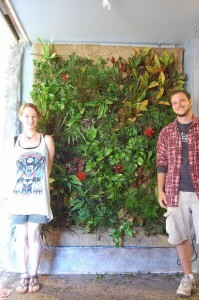 The living green wall at Solaqua is 9 feet high by 7 feet long and was constructed against an ordinary cement block wall with insulating spray foam (to provide a vapor and water barrier). The mechanics work similarly to a fountain; it has a pump which pumps water from a lower reservoir to an upper reservoir where it trickles down to feed the plants hydroponically (without soil). 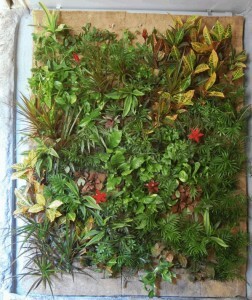 The growing medium is a matted blend of coconut husks that provides a structure that holds the plant in place while allowing the water to pass through providing nutrients to the plant.